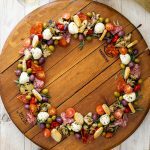 This easy antipasto wreath is great as a simple Christmas appetizer and will add festive flair to all of your holiday parties. 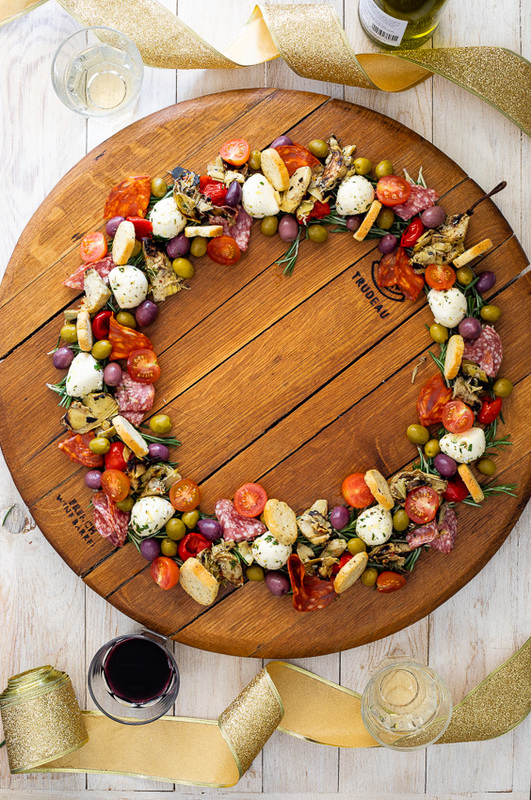 This beautiful antipasto wreath is the ultimate festive appetizer and is a showstopper of note. When I served it recently the guests couldn’t stop talking about it and I felt so pleased because 1) it is the EASIEST appetizer you’ll ever put together and 2) It is just so beautifully Christmassy. I used a selection of shop-bought antipasto like two different kinds of salami, pickled peppers, olives, marinated artichokes and crostini. I made marinated mozzarella/bocconcini which add a cheese element but you could easily add chunks of Parmesan or Brie instead. 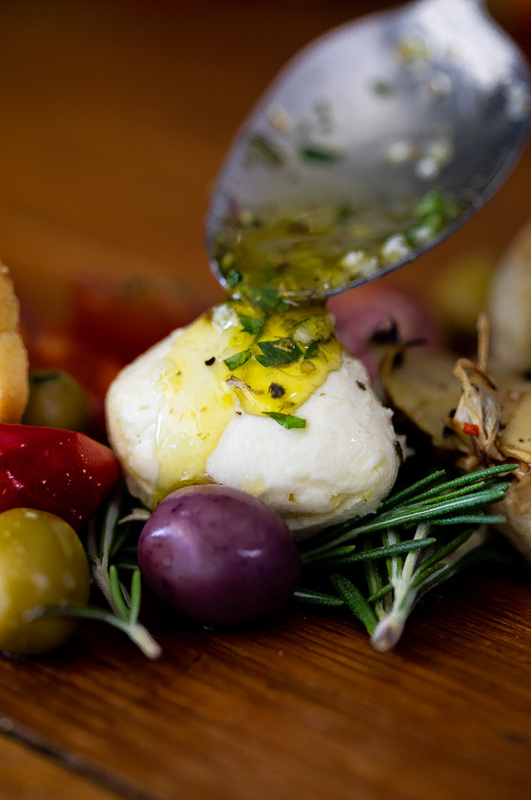 And of course, any other antipasto goodies you love. This wreath is totally customizable. 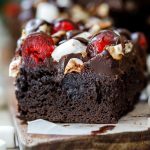 So easy, so delicious and just perfect for your holiday parties. 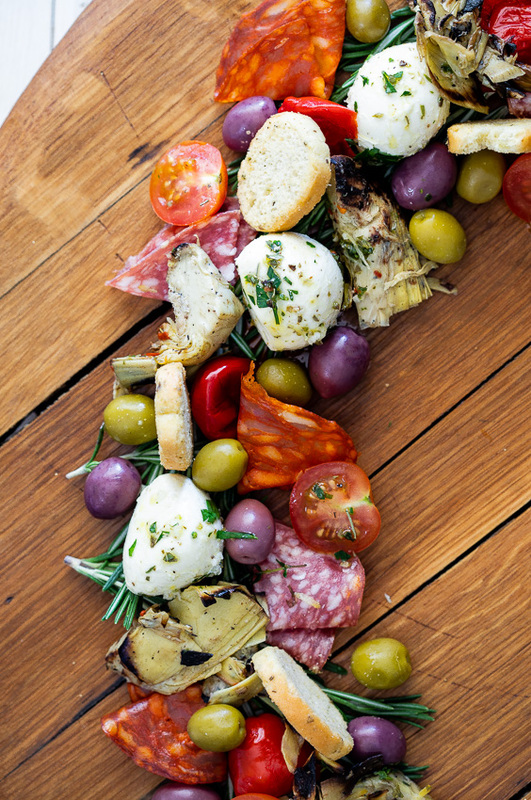 What is included in an antipasto platter? Use a variety of elements like salami, prosciutto, olives, pickled or marinated vegetables like artichokes, aubergine or mushrooms and one or two cheeses. Parmesan, Pecorino and marinated mozzarella work well. And finally, add some crunch in the form of breadsticks or crispy crostini. What are good appetizers for a Christmas party? 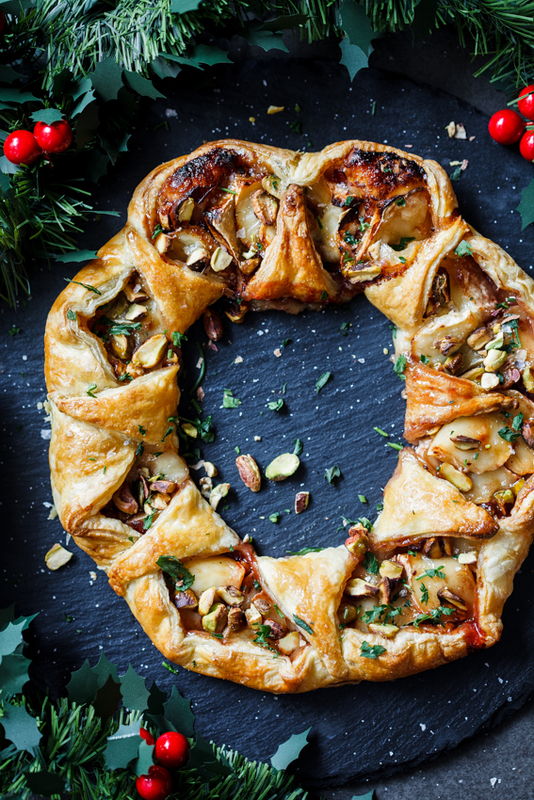 Cranberry brie puff pastry wreath. To marinate the mozzarella, mix together all the marinade ingredients then add the cheese and allow to marinate for 10 minutes. Arrange the rosemary on a large platter in a circle then add the marinated cheese, pickled and marinated vegetables, meat and olives. Drizzle over the remaining marinade and serve. I was planning on serving antipasto at dinner last night but after seeing your idea, turned it into a wreath and our dinner guests couldn’t stop talking about it. Such a fabulous festive idea. I am so happy to hear that. It definitely is so perfect for dinner parties. Such a festive and delicious wreath for the holidays! Making this over the weekend, will report back but I’m sure we’re going to love it. 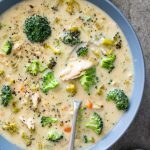 I’ve tried so many of your recipes and they have never let me down. Please let me know, I hope you love it! Such a great idea. Definitely trying this soon! Absolutely fabulous festive idea! Definitely going to give a try! Thanks so much for sharing Alida! What a fabulous idea Alida! And so pretty! Happens to be one of my favorite things at a holiday gathering too! Thanks so much Mary Ann. It’s always a crowd favorite!